The International Carlo Scarpa Prize for Gardens is a campaign of studies and care for a site which is particularly rich in natural, historical and creative values, instituted, and organized every year since 1990, by the Fondazione Benetton Studi Ricerche. The purpose of the Prize is to enhance and propagate the culture of “stewardship of the landscape” and “care of places”; it is conceived as an opportunity and an instrument through which a wider public, beyond the community of specialist experts, can be acquainted with the intellectual and manual skills required to manage the changing landscape and to safeguard and promote the natural and historical heritage it embodies; the work requires a wide-ranging combination of scientific, technical, artistic and craft knowledge and skills and entails identification of the distinctive nature and characteristics of a site and an appreciation of its true extent and context; it involves acts of creation, far-sighted renewal programmes, a daily routine of care and maintenance and sensitive application of procedures whereby expressions of the natural heritage, cultural change and human communities can exist side by side in the same place; it shuns ephemeral and superficial effect and measures success in the long term; it seeks a balance between conservation and innovation, accepting that taste changes constantly and that the role of nature and history may differ radically from one civilization or historical period to another. Each year the Scientific Committee of the Foundation, within the ambit of its ongoing research activities, selects a place that features characteristics, deserves attention and prompts considerations relevant to the aims of the Prize; a citation is issued in which the Committee explains the reasons for its choice. The Committee’s decision is final. Throughout the campaign, the Scientific Committee proposes and provides guidelines for those actions it considers useful for protecting and enhancing the site in question. Using various means of communication, it addresses public administrations, scientific, artistic, technical and operative communities and all those who are committed to or interested in enhancing appreciation of landscapes and gardens, developing new skills in investigation and planning as well as improving management procedures. 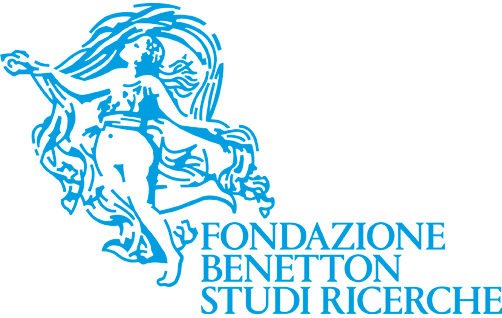 Of particular importance among the actions envisaged are: the publication of a dossier to raise awareness and give information about the site; the collection of relevant bibliographical and cartographic materials, which are made available through a documentary exhibition and for consultation in the Fondazione Benetton Studi Ricerche library; the organization of one or more study meetings and a public ceremony during which the body or person responsible for the management of the site is presented with a symbolic award consisting of the “seal” designed by Carlo Scarpa (1906-1978), the designer of gardens after whom the Prize is named. José Tito Rojo, botanist, University of Granada. Domenico Luciani, architect, Director of the Fondazione Benetton Studi Ricerche from 1987 to 2009; deviser of the Prize and its chief executive from 1990 to 2014, honorary member from 2015. Thomas Wright (1928-2016), consultant to the National Trust and lecturer at the University of London (Wye College), member of the Jury from 1990 to 2000; honorary member from 2001 to 2016. Since 2015 the Scientific Committee of the Foundation and the Jury responsible for awarding the Carlo Scarpa Prize from 1990 to 2014, have merged to become a single organism. Other participants in the work of the Committee include the Director of the Foundation, Marco Tamaro, and the heads of the various sectors, Patrizia Boschiero, Francesca Ghersetti, Massimo Rossi and Simonetta Zanon. The activities of the Carlo Scarpa Prize are coordinated by Patrizia Boschiero and the Chairman of the Scientific Committee, Luigi Latini. since 1993 the Foundation has marked the annual International Carlo Scarpa Prize for Gardens with the publication of a dossier of information and background materials about the award-winning site.